Diamonds set in a zig zag pattern, hills and valleys, ups and downs, very nice for an anniversary ring. And you can get matching earrings? This ring is available in other metals and finger sizes. 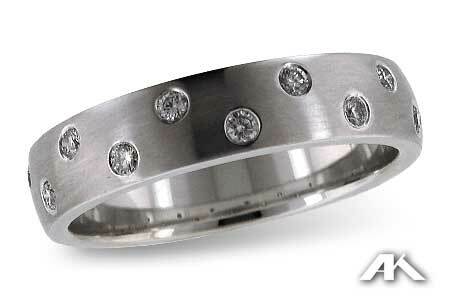 We can also use your diamonds to make a similar custom ring, see our custom design section for more examples. Please call or email us if you have questions concerning special orders.